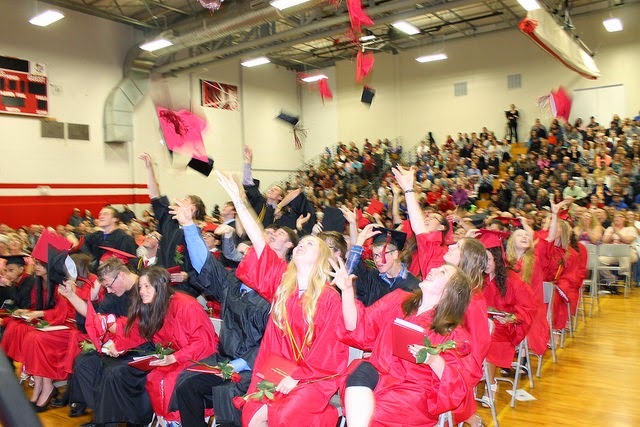 Chadron High Ranks #2 Best High School in Nebraska ...Again! 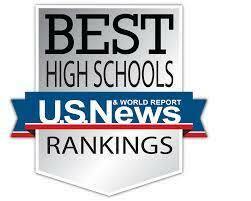 The 2015 U.S. News & World Report's rankings of the best high schools was just released. 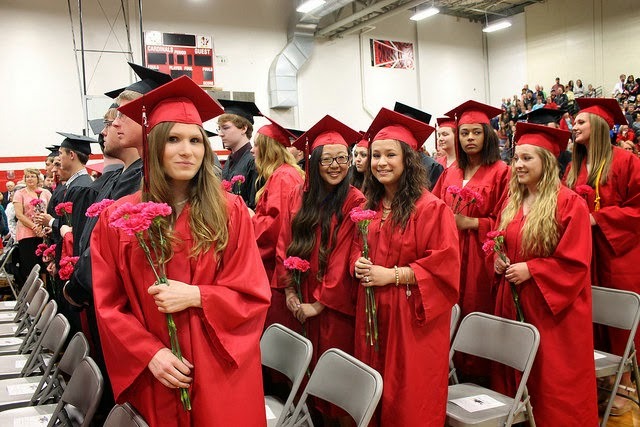 For the second consecutive year, Chadron High School ranks the second best high school in Nebraska behind Elkhorn High School. Lincoln East High School ranked third as the only other school in Nebraska to be awarded a 'Silver Medal' school. Congratulations to all the students and staff of Chadron High! In the 2015 U.S. News Best High Schools rankings, there are three silver medal schools and 84 bronze medal schools in Nebraska. 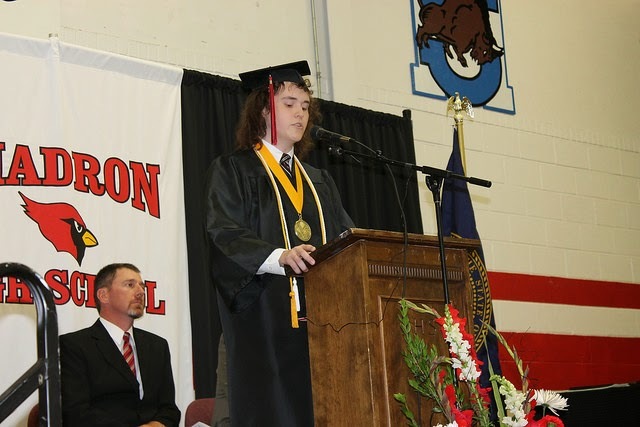 Among the highest-ranked high schools in Nebraska are Elkhorn High School in Elkhorn, located about 45 miles from the state capital of Lincoln​, and Chadron Senior High School in Chadron, located less than 20 miles from the South Dakota border in the northwestern corner of the state. 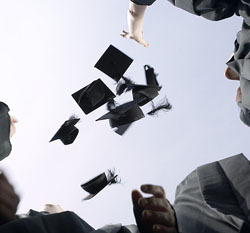 To be eligible for a state ranking, a school must be awarded a national gold or silver medal. 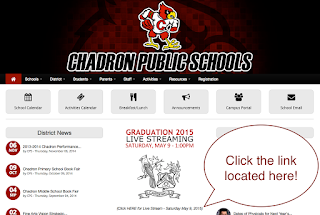 CHS Graduation Will Be Streamed Live Online! 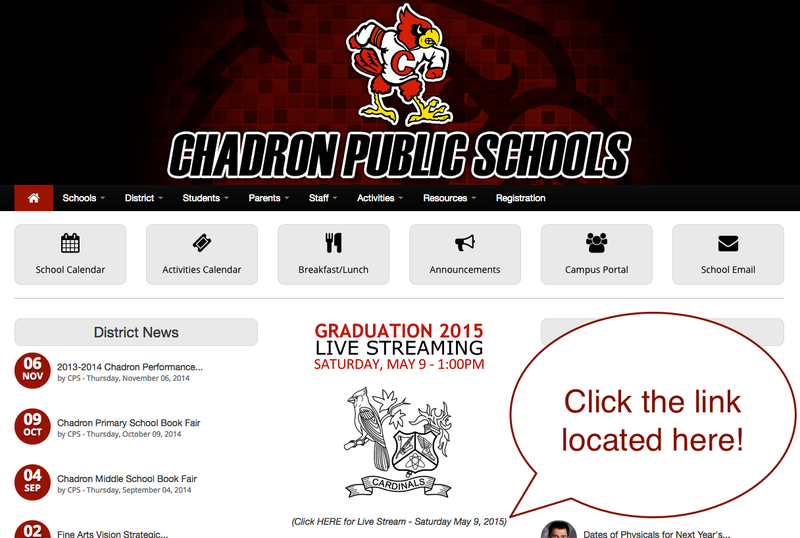 Click the icon on the school website at www.chadronschools.org for the link this Saturday. Class Song: "We're All In This Together" from "High School Musical"
Who: Current 9th, 10th, and 11th grade students that may participate in a CHS sport or other school activity next year. Place: Chadron High School Locker Rooms (enter through front door). 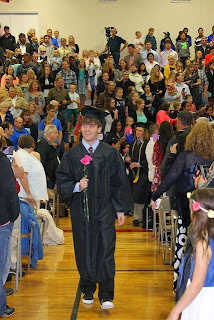 Cost: $5 per student (No student will be turned away). 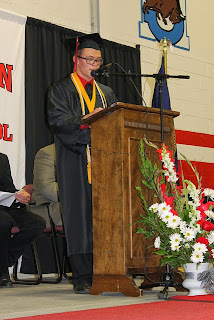 This contribution is donated to the Chadron Schools athletic/activities fund. *Please pick up a physical form at the office BEFORE May 12th to complete the Health History portions of the form before you arrive for your physical. Who: Current 6th, 7th, and 8th grade students that may participate in a CMS or CHS sport or other school activity next year. *Please pick up a physical form at the office BEFORE May 14th to complete the Health History portions of the form before you arrive for your physical. I want to take this opportunity to ‘touch base’ on the many activities and events that will take place in the next couple of weeks for our students. Graduation will take place in the high school gym. We do not reserve or block off sections of seats for families of seniors. Instead, they are welcome to enter the gymnasium when it opens at 11:00am and reserve up to 10 seats on the floor for the graduation ceremony for their families. There is additional seating provided in the bleachers. 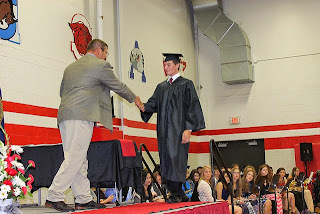 Wednesday, May 6th - Senior's Last Day: As in the past, grades 9-11 will start classes at 9:00am on May 6th to allow for seniors to check-out from 7:55-8:55am. If you have any questions, please call the CHS Office at 432-0707. CHS Competes In Nebraska STATE ENVIROTHON For The First Time! To watch more about the Envirothon click on KNOP news clip. Members included Murphy Churchill, Toni Doescher, Clay Madsen, Brooke Roes and Greta Welch. On April 30th, 2015 students from CHS competed at Camp Comeca in Cozad at the State Envirothon. It is accomplished by developing in young people an understanding of the principles and practices of natural resource management and ecology and through practice dealing with complex resource management decisions. More and more careers are being created that deal with the environment. This is an excellent opportunity to give your students some additional background in the environment and exposure to environmental careers. What makes the Envirothon different from other extra-curricular activities students already participate in? The Nebraska Envirothon competition gives students the chance to take what they have learned in the classroom and apply it to life. 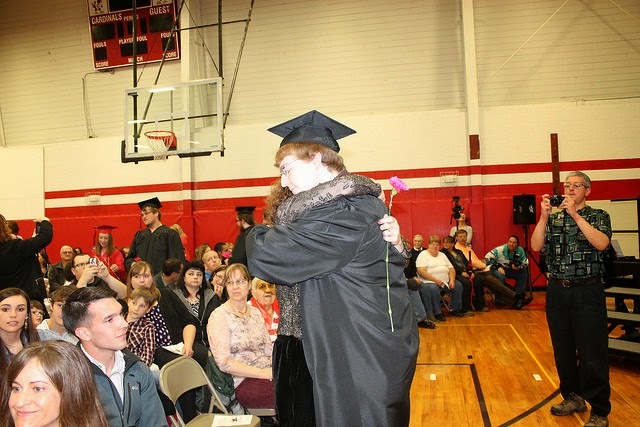 Students are given the chance to interact with resource professionals who use the knowledge they gained in high school and college every day in their career. The Envirothon shows students the link between academics and the business. The competition was distributed between Aquatic Ecology, Wildlife, Urban Forestry, Policy, Soils, Range, and a Special Topic Management Plan. This year’s topic focused on Emerald Ash Borer (EAB). CHS students placed 3rd in Special Topics Presentation and Policy, 4th in Soils, 5th in Range, Wildlife, and Forestry, and 7th in Aquatics and overall. 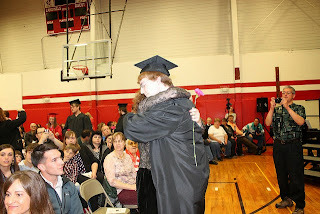 (NFS), Amy Seiler (USFS), and Shelley Steffl/Katy (NGP) for taking time to help prepare our students. Go Cardinals!